The vast majority of the 40 million family caregivers support loved ones by allowing them to comfortably age in place. These friends and family members assist an older relative with their "activities for daily living", such as finances, transportation, meals and more. Though most elder family members are well cared for at home, almost half of the U.S. population will enter a nursing home at some point during their lives. Currently, it is estimated that over three million adults live in nursing homes or other long-term care facilities. 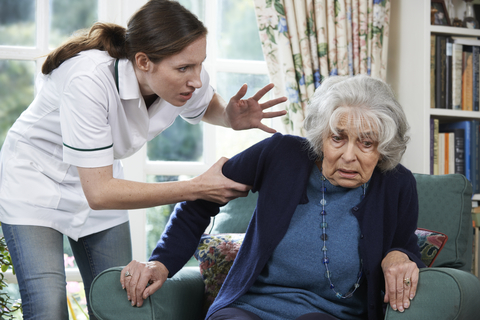 Nursing home abuse continues to be a serious concern for seniors entering a residential care facility. According to a recent government survey, up to 1 in 6 nursing home residents are the victim of abuse, exploitation or neglect every year. When you add in the criminal threat to elderly nursing home residents, exploitation is estimated to rob older Americans of $3 billion (or more) annually. Sadly, those who commit such crimes can include a spouse or other family members, but most situations involve a stranger who was entrusted and paid to care for a loved one. Despite the complexity of identifying elder abuse, aging Americans certainly deserve greater federal and state attention. Under state law, elder abuse is a third degree felony in Florida when the victim had no bodily harm or permanent disfigurement. If the victim suffered serious bodily harm or disfigurement, it is a first-degree felony charge. Financial exploitation of an elder is also a crime in the Sunshine State and more than $100,000 stolen is a first-degree felony. State statutes also allow victims to bring a civil lawsuit for exploitation of an elderly person. Elder abuse, neglect and exploitation come in many different forms. When it happens to a loved one, you can feel overwhelmed, scared, disappointed and angry. Although you may be hesitant to come forward as it can be a difficult time to make important legal decisions, combating elder abuse is a responsibility that we all share. If you need to share your story with a compassionate attorney who can provide expert legal counsel, contact Schackow & Mercadante at 877-798-7700.